Click on first letter of last name to jump to section. 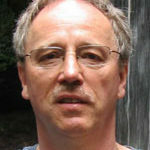 Dr. Albert is a leading evolutionary biologist devoted to the diversity, systematics, and evolution of tropical fishes. 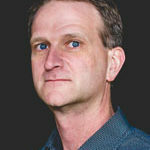 His work combines disciplines such as geology, ecology, geography, and computer modeling with biology to understand the history of biological life on Earth. 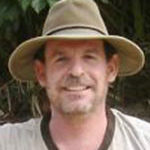 For example, Dr. Albert does fieldwork in the Amazon and Andes on fishes and uses computer models to understand how that life functions and has changed over time. He and his international collaborators have named dozens of new species and added significantly to knowledge of the evolutionary history of South American fishes. Dr. Albert is known for actively recruiting graduate students from underrepresented groups and mentoring the largest group of graduate students in his department. His colleagues and mentees describe him as generous, dedicated, and kind. They note Dr. Albert’s uncanny ability to make everyone feel like a member of the team and to realize opportunities for discovery by energizing everyone around him. Dr. Anderson’s research focuses on the signaling pathways and mechanisms in the retina that provide neuroprotection from environmental and mutational stresses that cause retinal degenerations. He has obtained over $70 million in funding for his work and has published an estimated 250+ peer-reviewed journal articles. Dr. Anderson has served on many foundation boards and scientific advisory panels. He received the Proctor Medal from the Association for Research in Vision and Ophthalmology (ARVO) and the Llura Liggett Gund Lifetime Achievement Award from the Foundation Fighting Blindness. His colleagues describe him as a selfless mentor of students, faculty, and colleagues who instills integrity in all of his trainees and exemplifies integrity in each aspect of his personal and professional life. He is described as a researcher who is not just successful, but exceptionally well-liked and respected—a model by which the generation of scientists that follow him aim to mold their own careers. Dr. Ayala’s research focuses on identifying and ameliorating health disparities among the U.S. Latino/Hispanic community. Specifically, she develops and evaluates multi-sector, multi-level interventions to improve access to and consumption of healthy foods, promote physical activity, and prevent and control obesity, diabetes, and asthma. She has received an estimated $26 million from sources such as the NIH, CDC, and USDA. She is known locally, nationally, and internationally for her expertise, and her work has earned her recognition from the American Public Health Association and the Society of Behavioral Medicine. Dr. Ayala is committed to training underrepresented students and early career investigators to enhance diversity in the public health practice and research workforce. Colleagues describe her as an exceptional colleague and friend who possesses the skills necessary to address complex issues with full disclosure and transparency. They note, in particular, the professionalism and integrity with which she makes and executes decisions. 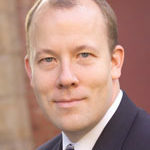 Dr. Beidel’s academic, research, and clinical interests focus on child and adult anxiety disorders, including their etiology, psychopathology, and behavioral treatment (www.ucfrestores.org). Her research seeks to augment traditional therapy methods, particularly to address issues not well-addressed through traditional therapies. Her recent work funded by the Department of Defense treats combat-related posttraumatic stress disorder using a novel intensive outpatient program. 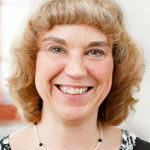 Dr. Beidel serves in numerous leadership roles within her institution and field, and colleagues describe her as widely respected and highly dedicated. In her lab, she is known for insisting that the data reported objectively reflect the findings. She works tirelessly to mentor students and help colleagues achieve success, and students and colleagues regularly seek out her sage advice. In the community, Dr. Beidel’s work and outreach programs among veterans and first responders demonstrate how research can serve society. Dr. Beidel’s colleagues view her as an exemplary clinician, scholar, and community resource. 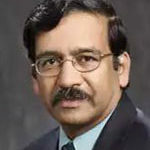 Dr. Bhatnagar is a leading environmental health scientist who led the creation of the field of environmental cardiology. Through multidisciplinary approaches, he has identified the influence of environmental factors that contribute to systemic inflammation and cardiovascular disease risk. His work has extended from basic bench research to national and global policy. With over 200 peer-reviewed journal articles and $100 million in research support, colleagues hold him in the highest esteem an intellectual leader, but also as an exemplary mentor, teacher, and public servant. He has been a member of over 50 review panels of the NIH, EPA and DoD. 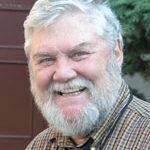 He currently serves as the Deputy Editor of Circulation Research. Under his mentorship, more than 15 junior investigators have obtained independent funding. Colleagues describe Dr. Bhatnagar as an innovative, productive scientist who is extraordinarily skilled at leading large research programs and who ensures the highest standards of scientific integrity. Dr. Bossmann’s cutting-edge chemistry research focuses on engineering technologies that permit early cancer detection and cell-based cancer treatments. In pioneering experiments with international collaborators employing a broad spectrum of methods, Dr. Bossmann has made several groundbreaking discoveries leading to patented technologies. For example, he engineered a technology that increased the survival of mouse models with pancreatic tumors by 36%, a record achievement that remains peerless. In clinical cohorts, Dr. Bossmann’s research identified a technology capable of detecting solid breast and lung cancer tumors at Stage 1 in a blood test before the onset of symptoms or detection by existing imaging technology. Through his conscientious, attentive, and supportive nature, Dr. Bossmann has won the admiration of colleagues and mentees alike. Colleagues describe Dr. Bossmann leadership qualities and scientific intellect as ideal for both leading and performing incredibly difficult, elegant research and serving as a role model for future scientists. 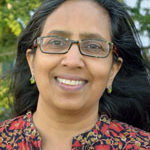 Dr. Cheruvelil is a limnologist who conducts field-based and data-intensive research to understand variation in lake biology and chemistry across time and space (http://www.ksc.fw.msu.edu/). 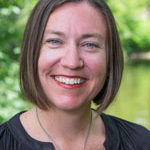 Her work also considers economic and social factors affecting lake management and conservation and has important implications for understanding how global climate change and land use affect lake ecosystems. Dr. Cheruvelil is credited with co-establishing the discipline of landscape limnology and pushing the boundaries of interdisciplinary team science. She is described as a passionate, innovative leader who is skilled at bringing together multidisciplinary collaborators to answer complex scientific questions. Dr. Cheruvelil is also an exceptional mentor who passes team science methods and skills on to the next generation of environmental scientists. Furthermore, her colleagues laud her commitment to open science practices, such as contributing code and data to repositories. Finally, Dr. Cheruvelil is known for her work focused on promoting diversity and inclusion in science. 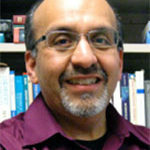 Dr. Cisneros’ research extends across the field of computational chemistry. 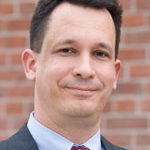 He is a nationally awarded investigator for his contributions to the development of computational simulation methods and their application to the study of chemical and biochemical systems. His research team has used computational tools to uncover novel cancer biomarkers, aid in development of imaging agents for diagnostic purposes, drug development, investigation of condensed-phase systems, among other applications. 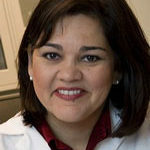 In 2014, Dr. Cisneros received the OpenEye Scientific Software Outstanding Junior Faculty Award from the computers in chemistry division of the American Chemical Society and the Dell-Intel Young Investigator Award at the international Sanibel Symposium. His faculty colleagues in the Center for Advanced Scientific Computing and Modeling describe Dr. Cisneros as articulate, personable, and approachable, and they commend his ability to communicate his findings across a variety of disciplines. Dr. Cisneros serves as a role model for non-traditional and underrepresented minority students and is regularly sought out by colleagues and students for his guidance on a range of issues. Dr. Clapp studies genetic diseases with a high predisposition to cause cancer among children. His lab advances clinical therapies through basic and translational research. Specifically, he is an international leader regarding the molecular mechanisms causing cancer in neurofibromatosis, the most common genetic cancer predisposition syndrome. His research led to the first-ever successful precision-medicine clinical trial demonstrating reduction in tumor size among tumors highly resistant to conventional treatment options. 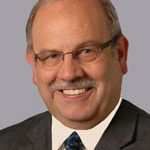 In addition to his research, Dr. Clapp is Physician-in-Chief for Riley Hospital for Children at Indiana University Health. Colleagues admire his meticulous, rigorous approach to designing experiments. His lab is described as a collaborative and innovative atmosphere where members enjoy career development opportunities, inclusion in review of raw data, and responsibilities tailored to their abilities and interests. Colleagues state that Dr. Clapp exhibits the utmost integrity in all his interactions. Dr. Dunbar is a physician-scientist who has made important findings in the areas of hematopoiesis, stem cell biology, and gene therapy. Dr. Dunbar has published over 250 peer-reviewed journal articles, served as the Editor-in-Chief of the journal Blood, and serves as President of the American Society for Gene and Cell Therapy. She led the NIH fellowship program for 17 years and has served on and chaired numerous institutional and professional committees and boards, including those concerned with investigations of scientific integrity. Dr. Dunbar’s colleagues state that she models fairness and respect for others, and they describe her as an outstanding scientist, manager, leader, clinician, patient advocate, and wise advisor on matters of research integrity and the career development of physician-scientists. Dr. Flynn’s research has included studies of national treatment outcomes, intervention trials, treatment costs, organizational functioning, implementation strategies, and HIV medication adherence. He has served the NIH as a member of numerous review groups and as chair for two study sections. He is a Fellow in the American Educational Research Association and several divisions of the American Psychological Association. 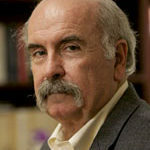 Prior to his return to full-time research in 1990, Dr. Flynn worked in therapeutic community, methadone, and outpatient drug-free treatment programs in several capacities, and served in upper-level management positions in higher education. He has been continuously funded for more than 25 years by Federal agencies such as the NIH. Colleagues view him as a consummate professional and mentor who leads by example. They describe Dr. Flynn as fair, committed, respected, and skilled at leading productive collaborations, and they admire his impeccable attention to ethical standards guiding research with vulnerable populations. Dr. Forsthuber is a world-renowned immunologist whose work is dedicated to understanding the pathologic immune mechanisms that drive autoimmune diseases such as multiple sclerosis, type I diabetes, and autoimmune myocarditis. He has served as a Senior Editor for Expert Review of Clinical Immunology since 2006 and was Deputy Editor of Cellular Immunology from 2006-2009. Dr. Forsthuber serves on his institution’s IRB, an animal research advisory group, and is a frequent guest speaker for Responsible Conduct of Research training. Colleagues state that he consistently maintains, displays, and fosters ethical research practices. He clearly communicates his professional expectations and guidelines for safe lab practices to his team, and he explains how an individual’s work connects to the overall research questions. He encourages trainees to take ownership of their research by presenting their findings at scientific meetings. 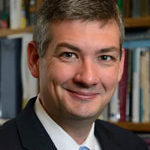 He is known for creating an environment in which lab members are collaborating effectively, communicating well, and using resources efficiently. Dr. Frischer is a renowned virtual archaeologist whose research focuses on archaeoinformatics, virtual heritage, and virtual worlds. His work includes 3D modeling to reconstruct cultural heritage sites and digital restoration of ancient sculptures. Moreover, he utilizes 3D models in educational efforts that permit what is just short of time travel. He received Pioneer Award from the International Society on Virtual Systems and Multimedia in 2005 and the Tartessus Lifetime Achievement Prize from the Spanish Society of Virtual Archaeology in 2009. Dr. Frischer is the Editor-in-Chief of Digital Applications in Archaeology and Cultural Heritage, and he founded Studies in Digital Heritage, an open-access journal. Colleagues state that Dr. Frischer is known for his enthusiasm and creativity which allow him to see beyond standard disciplines and methods to invest in new research topics. They also note that he treats all students, staff, and faculty with the utmost respect and is widely valued and respected by everyone. Dr. Georg has published 220 scientific articles related to the design, semisynthesis, total synthesis, and evaluation of biologically active agents. Her research works toward curing currently intractable diseases such as cancer, Alzheimer’s, epilepsy, and infectious diseases, while also improving the current state of contraceptives and anesthesia. Dr. Georg has had an estimated $72 million in funding from agencies such as the NIH and American Heart Association. 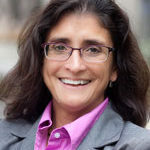 In addition to being a full Professor and Head of the Department of Medicinal Chemistry, she is the Director of the Institute for Therapeutics Discovery and Development, and serves as the Co-Editor-in-Chief of the Journal of Medicinal Chemistry. Dr. Georg mentors scientists at all stages of their education or career, yet still dedicates a significant amount of time to each step of the scientific manuscript writing process to make sure it is of high quality and impact. Colleagues describe her as the embodiment of leadership and a role model for all young scientists, particularly female scientists working in synthetic organic and medicinal chemistry. Dr. Giambelluca’s research focuses on hydrology and climatology, particularly the interaction between the atmosphere and the land surface in areas affected by human use. His lab’s field research spans across the globe, with projects on tropical deforestation in the Amazon Basin and northern Thailand. His team installed the first eddy covariance towers in Hawaii and has maintained climate stations in a remote area for over 25 years. Translating research into practical use for the community is exceedingly important to Dr. Giambelluca, which is demonstrated by his user-friendly climate maps allowing users to easily download and obtain climate data for Hawaii. Colleagues admire his seamless ability to collaborate with his team even if they are doing field work in a remote location. 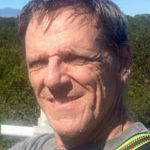 He is described as an inspirational and thoughtful mentor who provides guidance at each step. Dr. Giambelluca exemplifies professionalism by providing individualized feedback to students while also running a highly productive lab. Dr. Gibbs’ expertise is industrial hygiene and exposure assessment. He has received an estimated $33 million in grant funding, including National Institute of Environmental Health Sciences, Council for International Exchange of Scholars, and the CDC. His research has helped to determine national policies, procedures, and best practices to safetly treat patients with Ebola and other highly infectious diseases. He was a 2006 U.S. Faculty Fulbright Scholar to Egypt and has been Principal Investigator of three Public Health Fulbright Junior Faculty Development Programs. Dr. Gibbs invests a great deal of time into the success of student and faculty mentees, and he mentors numerous junior faculty across multiple disciplines and institutions. Colleagues state that he is vigilant about the accuracy of data collection and management and has published valuable, replicable results. Colleagues admire his collaborative, generous, and fair nature and the enthusiasm he brings to his research and mentorship. Dr. Goldberg uses biochemistry approaches to better understand how Plasmodium species (malaria parasites) cause malaria in humans. He has an excellent international reputation for using state-of-the-art techniques to advance our understanding of these important pathogens. In 2010, his lab defined the role of a protein called plasmepsin V as being essential to the parasite’s ability to take control of red blood cells, a finding that can help identify targets for drug therapy. Dr. Goldberg has received an estimated $75 million in funding from agencies such as the National Institutes of Health, Howard Hughes Medical Institute and the Gates Foundation. Colleagues state that his attitude toward high standards in scientific matters and scholarship permeates the culture of his research team. He has been known to reach out to potential competing labs to inform them of recent experimental progress and inquire about co-publishing results to ensure that everyone gets fair credit for work done rather than trying to “scoop” other groups. Several colleagues describe him as an honest, generous, and respectful person who epitomizes professionalism, integrity, and mentorship. Dr. Golub investigates the social, cognitive, and emotional factors that influence risk perception and decision-making, using HIV as a case study. Currently, much of her research focuses on implementation of HIV pre-exposure prophylaxis (PrEP) programs, policies, and messaging. 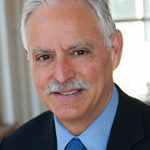 Dr. Golub’s NIH-funded model for integrating PrEP programs into a community health center in New York City was the first of its kind and became a template for the implementation of these programs by both the city and state health departments. 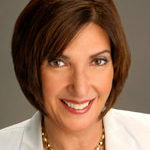 Not only are her recommendations now provided as standard-of-care guidelines within New York, but her model was also adopted by technical assistance and capacity-building providers for dissemination throughout the U.S. Dr. Golub is committed to engaging community-based research partners, developing funding opportunities for and with them, and sustaining these relationships through ongoing technical assistance and program development. Colleagues describe Dr. Golub as a model of composure, professionalism, scientific rigor, and leadership for researchers and students alike. Dr. Grapperhaus’ research in coordination chemistry, the study of compounds with a metal ion surrounded by neutral or negatively charged donor ligands, has significant implications for renewable energy. 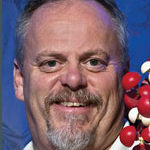 His team embraces a ligand-centered approach that features reactivity beyond the metal center. While this remains a largely unexplored approach for small molecule activation, Dr. Grapperhaus and his team have filled this gap by developing two generations of ligand-centered hydrogen evolution catalysts. These findings could yield sustainable catalysts for the production of hydrogen, a renewable energy carrier. Dr. Grapperhaus’ colleagues describe him as the consummate professional who exhibits ethical judgment and is often consulted on issues of ethics and best practices. Colleagues commend his meticulous attention to detail and high standards for data interpretation and management. Dr. Grapperhaus is also admired for his mentoring and is viewed as a role model regarding the best ways to mentor and conduct research responsibly. Dr. Greenberg’s research examines developmental processes in children and families to develop evidence-based interventions promoting emotional well-being and health. His work focuses on key areas of societal need, such as aggression, violence, and stress management. His skilled leadership has lead to many community partnerships to disseminate prevention programs and makes him a sought-after collaborator. He is a creator of the PATHS curriculum which promotes emotion regulation in children and has been implemented around the U.S. and the world. 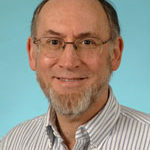 Dr. Greenberg was the founding director of the Edna Bennett Pierce Prevention Research Center at Penn State (http://www.prevention.psu.edu/). He has over 300 publications and has received an estimated $63 million in funding from NIH, the U.S. Department of Education, and other sources. His colleagues describe him as passionate about improving human well-being, highly collaborative, and a supportive leader. They also note that he is a superb, generous mentor of scientists at all career-stages. Dr. Hammer’s research focuses on understanding how the physical and optical properties of molecules change due to interactions with their environment. His internationally recognized laser-based spectroscopy lab has also developed unique capabilities for the characterization of newly synthesized materials. Dr. Hammer’s impressive stream of funding from the National Science Foundation is widely praised among his colleagues. They describe him as an exemplary academic and scientific leader who displays the highest levels of professionalism and integrity, and instills these values in the next generation of scientists. He is a role model to high school students, graduate students, post-docs and junior faculty. Dr. Hammer teaches honesty and respect for the scientific process and responsibility in reporting results. He also has influence among senior faculty in his department and at the institutional level. His laboratory practices have served as a guide at the university as they have developed policies for research programs. Dr. Hoft’s current work focuses on bench to bedside investigations, ranging from basic mechanistic research to human translational trials, all with the overall goal of developing new vaccines that are protective against mucosally transmitted, intracellular pathogens. He has an estimated $21 million in funding from agencies such as the National Institutes of Health, National Aeronautics and Space Administration, and the Gates Foundation. 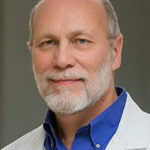 Dr. Hoft has been widely recognized for his scientific contributions and is often invited nationally and internationally as a speaker on the topics of vaccines, tuberculosis, and Chagas disease. In 2013, he became Principal Investigator of the NIH-funded Vaccine Treatment and Evaluation Unit at Saint Louis University, which has been consistently funded by the NIH for almost 30 years. Dan has closely mentored the junior faculty in his division, critiquing their grant proposals before submission, and is well-respected by the nurses and staff who run clinical trials under his supervision. Colleagues emphasize their high esteem for his leadership, professionalism, honesty, hard work and integrity. 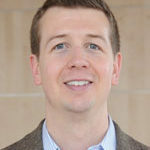 Dr. Jur leads the Nano-Extended Textiles (NEXT) research group that focuses on materials processing methods in nanotechnology to impart new characteristics to polymer films and fibers. Through this effort, his team studies innovative methods for low cost integration of electronics into textiles for the development of self-powered sensor systems, like a health monitoring shirt that is powered by the human body. 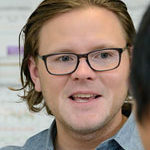 Dr. Jur is also on the leadership team in the NSF-funded research center for Advanced Self-Powered Systems of Integrated Sensors and Technologies (ASSIST) located at NC State. Colleagues give glowing reviews of his leadership and describe him as highly collaborative and collegial. He is praised for his ability to create interdisciplinary partnerships that advance his research aims and support the work of colleagues and graduate student trainees. 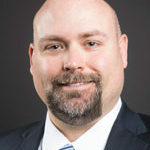 In summary, Dr. Jur is described as a remarkable, creative researcher who is able to connect well with people across his roles of teaching, mentoring, research, and external stakeholder relationship building. Dr. Kalivas studies the neurological underpinnings of drug addiction and designs pharmacotherapeutic treatments for addiction. He is particularly focused on the neurobiology of relapse and the long-lasting changes in brain function produced by drug abuse that create the enduring vulnerability to relapse. His lab discovered the importance of considering not only how drugs change classic synapse physiology but the surrounding neurological networks. His research has identified several potential molecular targets for treating relapse to drug use. 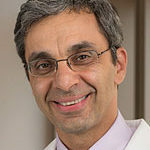 Dr. Kalivas has received an estimated $36 million in funding and has published over 400 peer-reviewed journal articles. Colleagues describe him as fair, transparent, and driven by a desire to facilitate research excellence among departmental colleagues, laboratory members, and scientific collaborators. They see him as a visionary in his ability to foster translational research. Additionally, they note that individuals trained in his laboratory learn the highest standards of personal responsibility, research team management, and scientific publication. Dr. Kline’s research focuses on translational and patient-centered discovery of new methods to diagnose, risk stratify, and treat venous thromboembolism. His work has led to changes in national guidelines on the diagnosis of blood clots in the lungs and in recommendations for clot dissolving treatments. He has over $22 million in grant funding from agencies such as the National Institutes of Health, American Heart Association, and Patient-Centered Outcomes Research. He has published approximately 242 peer-reviewed journal articles, and he is Editor-in-Chief of Academic Emergency Medicine. Dr. Kline holds 16 U.S. patients for novel medical devices and co-founded a privately held medical device company that is currently supported by over $6.5 million in venture capital funding. Dr. Kline has a reputation for setting the highest expectations for himself and his collaborators, and for creating an atmosphere of transparency and honesty. His colleagues regard him as an aspirational mentor, clinician, educator, and humanitarian. The goal of Dr. Kretzler’s research is to define chronic organ dysfunction in mechanistic terms and use this knowledge for targeted therapeutic interventions. His work has resulted in a multitude of novel disease predictors and therapeutic targets in renal disease. Dr. Kretzler has published over 250 peer-reviewed articles and has received an estimated $49 million in funding from agencies such as the NIH, the EU and the Juvenile Diabetes Research Foundation. Through his international networks and collaborations, Dr. Kretzler has integrated renal research efforts in the United States with efforts in Europe, Asia, and Africa. Colleagues admire Dr. Kretzler’s philosophy of research transparency and his stance that federally-funded research results should be available to all scientists to serve the ultimate vision of benefitting patients. He initiated the first public-private consortium at his university aimed at molecular target identification in renal disease. He is described as an impressive research leader with unblemished integrity, rigorous attention to detail, warmth, approachability, and compassion. Dr. Kruse is a national leader in the study of natural hazards and human response to them. 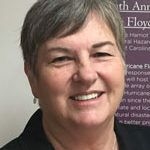 Her work in the economics of coastal hazards, a field she helped establish, integrates economics, engineering, geosciences, and social sciences to reduce the negative impact and hasten recovery of communities affected by extreme events. Dr. Kruse is particularly recognized for her research on the economic analysis of decision-making under uncertainty and risk reduction. She also contributed to our understanding of the complex interactions between flood hazards, coastal housing markets, and insurance rates. 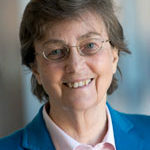 Dr. Kruse’s colleagues describe her as an intellectual and policy-making trailblazer, an innovator, and an unmatched expert in experimental and behavioral economics. They commend her ability to successfully lead multidisciplinary research and note she is a superb mentor of students and her peers. Colleagues describe consulting with Dr. Kruse for advice, as they know she will help them make the best decision not only as a researcher, but as person. Dr. Lakatta is recognized nationally and internationally for his cardiovascular research. His work focuses on the fundamental mechanisms of cardiac contraction, cellular metabolism, and vascular biology and spans from basic science to translation in the clinic. His research is primarily responsible for our understanding cardiovascular aging and has had a significant impact in the field of gerontology. Dr. Lakatta has received numerous awards, including the Extraordinary Lifetime Contribution to Arterial Haemodynamics Award from the Pulse of Asia Society and the Janice Pfeffer Distinguished Lecture Award from the International Society of Heart Research. He has mentored well over 150 prolific scientists in a variety of disciplines working around the globe and has authored over 500 peer-reviewed publications in top journals. Colleagues admire his ability to bring out talent in everyone and create a high-performing, interactive research environment. They state that he instantly makes people feel welcomed and valued, and that he is highly respected. Dr. Lenze’s research focuses on developing and testing treatments for depression, anxiety, and cognitive decline among older adults. Among his current clinical trials: the OPTIMUM study is examining new treatments for older adults not responding well to conventional anti-depressant medications. The Enhanced Medical Rehabilitation study is identifying approaches to motivate patients to undertake intense therapy so they may return to their favorite activities. The MEDEX study is a large test of mindfulness training and exercise as interventions for age-related cognitive decline. Dr. Lenze has received > $40 million in funding from NIH, the McKnight Brain Research Foundation, the Patient-Centered Outcomes Research Institute, and private funding sources. Dr. Lenze is known for skillfully creating a work environment characterized by the utmost professionalism and respect. His staff are motivated to achieve the group’s mission and prepared to collect the highest quality of data. He has earned uniform respect and admiration as a researcher and collaborator among peers both within and beyond his institution. Dr. Liggett studies genetics, molecular biology, and the structure and function of G-protein coupled receptors. 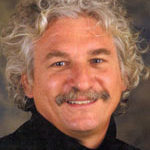 His work represents several “firsts,” which have been featured in the highest impact journals, including Science, and have been groundbreaking in several fields. For example, he identified single nucleotide polymorphisms (SNPs) in the superfamily, transforming the field of pharmacogenomics. Among several other achievements, he was also the first to express a common human genetic variant and its wild-type in transgenic mice to define SNP relevance. 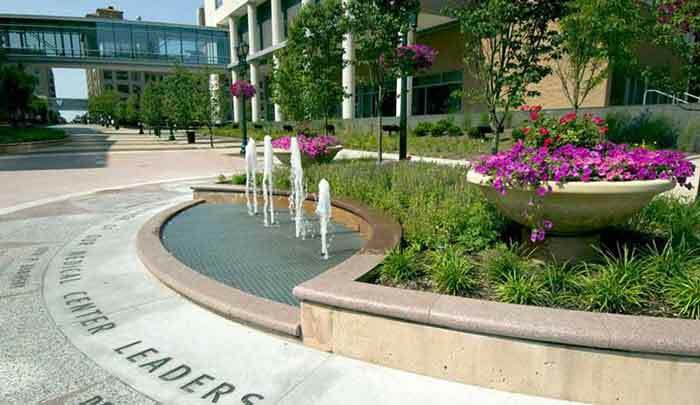 Colleagues admire his initiative and creativity in undertaking high-risk, high-gain projects. Dr. Liggett has received an estimated $28 million in funding from the NIH and has published nearly 250 peer-reviewed articles. 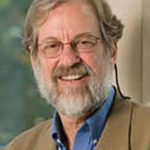 He is known for the rigor and reproducibility of his work, in particular the intensity with which he scrutinizes data. 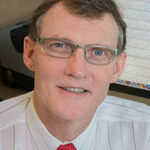 Colleagues describe Dr. Liggett as a strong leader and devoted mentor who provides praise, feedback, and career counseling for all members of his research team from technicians to junior faculty. Dr. Medvedovic is an internationally recognized biomedical data scientist. 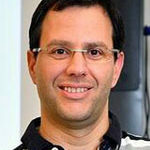 He develops mathematical models, computational algorithms, and software tools for analyzing biomedical big data. His work facilitates effective learning from omics datasets and facilitates systems biology understanding of high dimensional omics signatures. 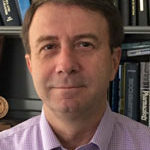 Due to his expertise in both the practical and theoretical aspects of bioinformatics, Dr. Medvedovic has been funded extensively by the NIH, and he contributes to numerous high-impact, interdisciplinary collaborative projects. He is known for employing honest and rigorous data science approaches that ensures reproducibility of scientific results. His colleagues admire his deep involvement in teaching and his excellent rapport with his students. 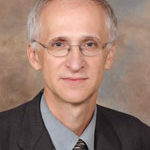 Dr. Medvedovic is described as a superb scientist and impeccable colleague with a reputation for highly collaborative research and professionalism. Dr. Nandakumar’s research focuses on the development of advanced computational models to improve manufacturing operations in the chemical industry. His work provides a fundamental understanding of the process that drives innovation and improvement in operations. He has received numerous awards for his contributions to chemical engineering, including the Albright and Wilson Americas Award and the R.S. Jane Memorial Award, both prestigious distinctions from the Canadian Society for Chemical Engineering. 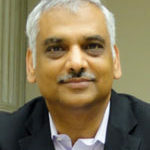 Dr. Nandakumar was appointed Editor-in-Chief of the Canadian Journal of Chemical Engineering from 2005-2009 and has been called on by international agencies to act as a panel member to evaluate research proposals. 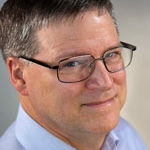 His colleagues respect his objectivity, impartiality, and integrity as an editor, and his commitment to the integrity of data produced by his team. Dr. Nandakumar is described as an extraordinary, multitalented individual and an exceptional teacher and mentor. He is also known for his ability to orchestrate multidisciplinary collaborations and execute complex, important projects. Dr. Nolta’s research focuses on developing therapies that will use mesenchymal stem cells to deliver factors for treating Huntington’s disease and other disorders and injuries. 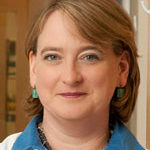 Her group focuses on “bench to bedside” research and has engaged in numerous clinical trials of gene and cell therapy. Dr. Nolta has an estimated $45 million in funding from NIH and other agencies. She is a fellow of the American Association for the Advancement of Science and was voted among the Top 50 most influential global stem cell scientists at the World Stem Cell Regenerative Medicine Congress in 2013. She is currently Editor-in-Chief for Stem Cells. 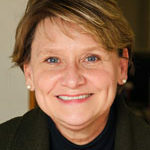 Dr. Nolta is known for her collaborative nature and is viewed as a role model. Her colleagues admire her outreach to diverse communities and commitment to developing junior researchers ranging from high school students to postdocs and junior faculty. They describe her as determined, passionate but balanced, and inspiring. Dr. O’Dell’s internationally recognized research focuses on the neural mechanisms that mediate addiction to drug abuse. She also investigates the underlying factors that promote tobacco use in vulnerable populations, such as females, adolescents, and individuals with diabetes. She was awarded the Presidential Early Career Award for Scientists and Engineers by the National Science and Technology Council in 2008—the highest honor bestowed by the U.S. government to outstanding scientists beginning their careers. Dr. O’Dell is known for her commitment to mentoring. She helps students be successful in a laboratory setting, and she helps them naviagate various obstacles in order to suceed beyond her laboratory. Dr. O’Dell is highly regarded by those within and beyond her department. Colleagues describe her as a devoted, collegial, trustworthy colleague, and a role model for male, female, Hispanic, and non-Hispanic students and junior faculty. In the view of her colleagues, Dr. O’Dell has combined research success, integrity, and a deep concern for student success in a manner that is rare and exceptional. Dr. Owens’ research focuses on development of antibody-based medications to treat substance use disorders. As principal investigator, he has received $34 million in funding from the National Institute on Drug Abuse and the National Science Foundation. Dr. Owens has eight patents and is a founder of InterveXion Therapeutics LLC, a biotechnology company focused on accelerating commercialization of medications that can potentially treat drug addiction. He has been recognized with awards for excellence in research, teaching and mentorship. His colleagues admire his acumen for translating scientific knowledge into real-world advances in healthcare, and his leadership in responsibly managing the interface of laboratory research and testing research-based technologies for potential commercialization. His colleagues frequently call upon him to serve on committees that govern research at his institution, including investigations regarding scientific integrity. They describe Dr. Owens as having a well-balanced understanding of the issues that impact the conduct of biomedical research. Dr. Parks investigates the influence of body weight on liver health to understand the causes of nonalcoholic fatty liver disease (NAFLD). 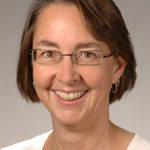 She has developed novel stable isotope methods to study metabolism in vivo in animal models and humans, and using these kinetic techniques, she was the first to show the importance of dietary sugar intake in the development of NAFLD. She is lauded for developing and disseminating techniques to study biochemical flux, and her research has transformed clinical recommendations for treating NAFLD. Among many other distinctions, Dr. Parks received the Robert I. Levy Award from the Kinetics and Metabolism Society. Colleagues describe her as demonstrating the utmost integrity in all aspects of her work. She is known for her selfless support of mentees and the ability to coach them to turn their excitement about scientific questions into the highest quality studies. She is described as a principled decision maker, someone whom colleagues look to regarding matters of scientific ethics. Dr. Parthasarathy is a world-renowned cardiovascular scientist who focuses on the fundamental mechanisms of the development of atherosclerosis and heart failure. In addition, he studies the prevention and cure of cardiovascular diseases using nutritional, pharmacological, and life-style interventions. He co-discovered the major concept in cardiovascular sciences that oxidized LDL cholesterol blocks arterial vessels in the heart. He has published over 250 original articles on cardiovascular science. Dr. Parthasarathy is passionate about translational research and believes in the promise of collaboration between clinicians, basic scientists, and innovators. Colleagues describe Dr. Parthasarathy as a hard-working, compassionate individual and a visionary leader. They state that he cares deeply about his fellow colleagues as well as mentoring the next generation of clinical scientists. He is also described as a role model who has the highest standards for research integrity and scientific rigor. Dr. Patel’s work focuses on DNA replication, transcription, and innate immunity. Her research examines the fundamental molecular mechanisms of enzymes and protein complexes that catalyze these essential life processes in mitochondria of cells and viruses. In 2016, she was awarded the highly competitive R35 Maximizing Investigators’ Research Award (MIRA) from the NIH, which is awarded to some of the nation’s most highly talented investigators who have an outstanding track record of productivity, creativity, and impact in their research area and who also have an outstanding record of service to the scientific community. She is known to constantly question the validity and reproducibility of research findings and insist on the implementation of rigorous controls and careful interpretation of research data in her lab. She instills this resolve to ensure scientific rigor in all of her trainees. Colleagues and trainees describe her as an exemplary role model. 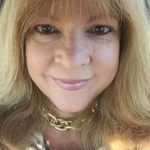 They state that she has trained, mentored, and inspired students for decades to become creative, independent thinkers who themselves have become successful scientists and educators. Dr. Pelham’s research focuses on the treatment, development, and evaluation of ADHD in children and adolescents. His research has revealed critical findings about effective dosing and sequencing in behavioral, pharmacological, and combined interventions. 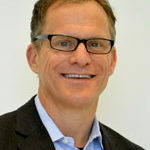 Dr. Pelham created the nationally acclaimed Summer Treatment Program (STP), which is widely recognized as the state-of-the-art in the treatment of children with ADHD and related behavioral, emotional or learning challenges, having helped approximately 3,500 children since its launch in Miami in 2010. 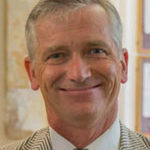 Dr. Pelham has received an estimated $93 million in funding and has published over 400 peer-reviewed journal articles. 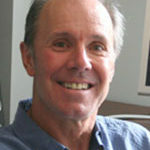 In addition, he has received awards including the CHADD Hall of Fame Award, the SCCAP Career Achievement Award, the Lifetime Achievement Award from the Society for a Science of Clinical Psychology (Section 3 of Division 12, APA), and, most recently, the 2017 award for Distinguished Scientific Contributions to Clinical Psychology from the Society of Clinical Psychology. Dr. Phillips’ research investigates the group of rare disorders known as the “porphyrias,” most often inherited conditions affecting the skin and/or the nervous system. His focus is discovering strategies to mitigate the clinical consequences of dysfunction in porphyrin biosynthesis. Dr. Phillips employs a multifaceted approach in his research. He has developed animal models to mimic the disease, used structural biology to identify the tertiary folding of several heme biosynthetic enzymes, and translated his basic science into clinical trials. Recently, his finding that heme biosynthesis in Gram positive organisms is unique led to work that could identify a new class of antimicrobials for drug-resistant pathogens. Dr. Phillips is the recipient of two patents related to antimicrobial screening and oligonucleotide synthesis reagents. 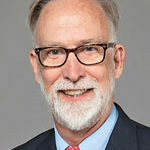 He is a long standing member of his institutions’ Institutional Review Board, and colleagues credit him with transforming the shared research facilities at his university. 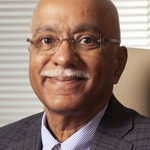 Colleagues describe Dr. Phillips as a true leader, a pleasure to interact with, and a brilliant mentor who gives his time generously and selflessly. Dr. Pittas’ research focuses on type 2 diabetes and how the disease can be affected by lifestyle-based interventions. His primary area of research has been to understand the role of vitamin D and calcium for diabetes. Through a methodical approach, Dr. Pittas worked in a highly collaborative approach to uncover a link between vitamin D and risk of type 2 diabetes. Currently, he leads a collaboration of more than 20 centers to test the hypothesis that vitamin D supplementation prevents type 2 diabetes. Dr. Pittas is extremely grateful for the generous support he has received from numerous funding agencies for nearly two decades. Colleagues state that he embraces a culture of accountability and responsibility, and clearly defines what success looks like at the individual, team, and project level. His research group is described as a fun, engaging place to work where no idea is suppressed and staff have the freedom to make suggestions and execute improvements. Dr. Porter is a physician-scientist who investigates the molecular, biochemical, and developmental processes that underlie rare genetic syndromes. He is a world leader in research on Smith-Lemli-Opitz Syndrome and Niemann-Pick Disease (type C1), combining basic science and clinical expertise to develop and test therapeutic interventions. He has received both NIH and NICHD Director Awards for his research and administration. Dr. Porter’s accomplishments in leading translational research and collaborations make him a sought-after leader at NIH and beyond. In his clinical research, he is known to put his patients and their families first. He considers them partners and not just participants in his research. In the lab, Dr. Porter emphasizes the importance of making sure all the data are consistent with the conclusions, and he challenges his team to generate alternative hypotheses outside of the expected results. Colleagues view Dr. Porter as a reflective, committed leader who fair and views his roles with the utmost responsibility. Dr. Prado is an internationally known expert in effective intervention strategies for at-risk youth, especially Latino youth, with respect to prevention of obesity, drug use, and HIV infection. His work represents one of the only few proven interventions for preventing and reducing substance use and HIV risk behaviors among Hispanic youth. Dr. Prado has an estimated $75 million in funding (as PI or Co-I) from agencies such as the National Institute on Drug Abuse and Centers for Disease Control and Prevention. His colleagues admire his dedication to his students and fellows and praise the enormous amounts of time that he spends on individual mentoring and team building. 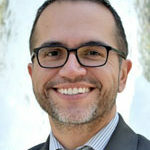 Colleagues view him as a role model for junior faculty, for Latino faculty, and for high standards of data analysis and interpretation in public health and epidemiology. They commend his leadership in developing a university-wide program in the Responsible Conduct of Research and describe him as thoughtful, fair, and insistent on high ethical standards at all times. Dr. Romo studies the chemistry and biology of naturally-occurring compounds toward developing potential therapeutic applications. His team focuses on marine-derived compounds, leading to the discovery of simplified analogs that may be used in a clinical setting. Over his career, Dr. Romo has developed synthetic strategies for the assembly of >16 natural products. As a world-renowned expert in his field, Dr. Romo is called upon to present invited talks around the globe and serve in advisory roles. For example, he advises on matters of scientific program policy as part of the National Cancer Institute Board of Scientific Counselors. Dr. Romo is described as a superb collaborator who successfully holds numerous and long-standing collaborations with scientists across the nation. Colleagues describe Dr. Romo’s research as impeccable, and his leadership in his field as inspirational. His novel scientific approaches and outstanding mentorship have earned him the admiration of his peers. Dr. Segal’s work centers on understanding the control of tissue blood flow in light of how oxygen delivery increases in response to metabolic demand, particularly during exercise. His research focuses on the microcirculation with an emphasis on how individual cells signal each other to regulate tissue perfusion. He has received numerous national and international awards, including the Malpighi Award from the European Society for Microcirculation and the Eugene M. Landis Award from the Microcirculatory Society Inc. (USA). Colleagues admire Dr. Segal’s investment of time and energy in mentoring students and trainees while remaining dedicated to their professional development. They note that he prioritizes helping others for the common good, developing new techniques for scientific inquiry and being rigorous in his approach. Overall, Dr. Segal is described as a remarkable mentor and professional who has a talent for interacting in a meaningful, supportive fashion while providing guidance to trainees and colleagues. Dr. Storz’s research focuses on identifying and characterizing regulatory RNAs and small protein regulators in gut bacteria. Her previous discoveries regarding E. coli RNA transcription and the detection of one of the first regulatory RNAs to be discovered have created paradigm shifts in the field. 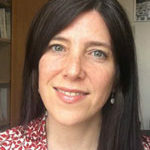 Applications of her recent work in understanding small protein regulators might allow their exploitation to modulate large proteins in desired ways. Dr. Storz was designated as an NIH Distinguished Investigator in 2016, a title reserved for the NIH’s most preeminent senior investigators. Colleagues describe her work as exceptionally rigorous and her passion for science indisputable. 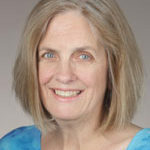 Dr. Storz is also known for the clarity and conviction with which she educates graduate students, postdoctoral fellows, and colleagues about the importance of responsible conduct of research and research ethics. She also goes beyond expectations to meet the needs of trainees, especially those from underrepresented backgrounds. Dr. Storz has received several distinguished mentoring awards. Dr. Thomas is an internationally recognized geneticist. He investigates the mechanisms, rate, and patterns of molecular evolutionary processes to understand relationships among organisms and between organisms and their environment. A current project focuses on understanding spontaneous mutations within the genomes of more than 50 species. This work provides insights into inherited genetic disorders and acquired genetic disorders such as tumors and cancer. Dr. Thomas is an innovative leader who is commended for his significant contributions to research infrastructure and training at his institution and beyond. His colleagues describe him as having rigorous standards in his research that he also imparts in his teaching and mentoring. He is scrupulous about carefully documenting all methodologies and reproducing results not only within his own group but also in other labs before they are disseminated and published. Colleagues express gratitude for having Dr. Thomas as a colleague and friend, citing not only his achievements but his enthusiasm and altruistic demeanor. Dr. Van Dongen is an internationally recognized sleep scientist known for his research on sleep deprivation and cognitive performance. His research has shown that differences in cognitive impairment during sleep deprivation can be traced to differences in human phenotypes. Dr. Van Dongen has received over $20 million in funding from agencies such as the Department of Defense and NIH. He has two patents related to alertness monitoring and prediction of performance impairment due to fatigue. He is widely praised for his leadership within his lab, at his institution, and in his field. He served for over a decade as associate or deputy editor of SLEEP, the benchmark journal for sleep and circadian science. Colleagues describe Dr. Van Dongen’s studies as meticulously adhering to the strictest scientific standards. Dr. Van Dongen impresses colleagues by balancing research productivity and outstanding mentorship. They also describe him as a remarkable person who is hardworking, sincere, and fair. Dr. Van Hoek seeks to discover compounds to protect against dangerous and drug-resistant bacteria. Her research has a particular focus on bacterial biofilms, gram-negative bacteria, novel methods for the delivery of therapeutics, and biodefense. Her work has led to the discovery of novel antimicrobial peptides that can be used in wound healing and are active against biothreat and multi-drug resistant bacteria. Colleagues speak of her detailed and creative research process and describe her as among the most hardworking scientists in the field. Dr. van Hoek received her undergraduate degree in Biochemistry from the University of Victoria, and a PhD in Microbiology from the University of Virginia. 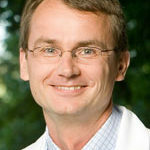 Dr. van Hoek first joined GMU in 2002. In 2009, the Virginia Academy of Science awarded Dr. Van Hoek the J. Shelton Horsley Research Award for outstanding, original research. Given the novelty and potential impact of her work, Dr. Van Hoek’s colleagues note that she is dedicated to generating sound results. She is widely known for replicating findings and cross-checking data to ensure their integrity prior to publication and having a focus on her student’s achievement. 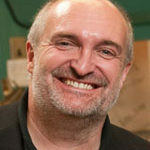 Dr. Walczak studies the fundamental mechanisms of protein function in mitosis using a combination of biochemistry, biophysics, cell biology, and high resolution imaging techniques. Her lab discovers how cells accurately distribute their genetic material to the two daughter cells to prevent aneuploidy and genomic instability. Defects in this process are central to cancer and are common targets for treatment. 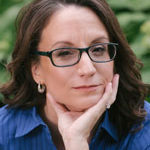 Dr. Walczak is a leader in her field, serving as a council member of the American Society for Cell Biology and as a member of numerous NIH study sections. She has also promoted science in Washington, D.C. She is a devoted mentor and recently developed a graduate course on effective communication of science. Dr. Walczak is known for the precision and rigor with which research is performed in her lab. Colleagues deeply value her contributions and describe her as a highly personable, enthusiastic leader who goes above and beyond to ensure success. 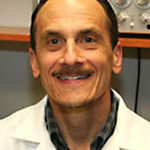 Dr. Watts’ research focuses on vascular smooth muscle pharmacology, physiology, and function. Specifically, she has published on the role of serotonin on vascular smooth muscle, the endothelin effects on vascular smooth muscle in arteries and veins in hypertension, and the role of chemerin in smooth muscle function. Her investigations have greatly advanced our understanding of arteries and veins in the hypertensive process. Her colleagues describe her as a campus leader—the “go to person”—for matters of professionalism and research integrity. She is active in the education of students and their mentors in the responsible conduct in research. In her lab, colleagues state that she nurtures responsibility and an understanding of science through lab meetings, one-on-one counseling, and data review sessions. Lab meetings specifically include discussion of principles of responsible conduct of research, such as how data should be presented, authorship on papers, and the importance of reproducibility. Her colleagues give glowing remarks about how she uses her scientific success and her approach of both high standards and compassionate understanding of each person to shape the next generation of scientists.